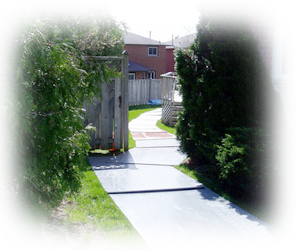 Plywood is laid down on the yard to prevent any damage to your existing lawn. Any gates that have to be removed to provide access to your pool are removed by us and replaced to their original condition after the completion of the job. 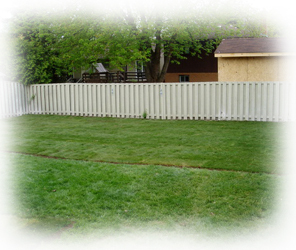 We clean up thoroughly at the end of each day, and remove any plywood that was placed on the existing lawn. We do not leave any mess behind so you are not expected to clean up after us on job completion. All of our work is performed professionally. We have spent years to build a name that stands for quality and our name is strengthened every year with satisfied customers time and time again. We need to make sure that we will create a proper drainage. 6′ x 6′ foot hole are cut up in the deep end of the pool, and 6′ x 6′ hole are cut up in the shallow end. This allows for proper drainage and some of our colleagues from different companies they don’t take this very seriously and you will end up having a huge pile of mud after each rain. So be careful who you hire ! For vinyl liner pools, we cut out 90% of the metal sides. Unwanted concrete decks will be broken up. 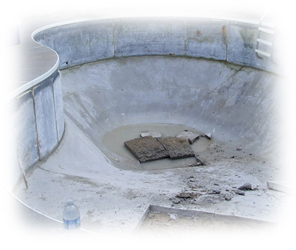 For concrete pools, the sides are broken down a minimum of one and a half to two feet below ground level. Unwanted concrete decks will be broken up. When we dump material on your street we use signs and pylons to help keep the roadway safe for your neighbours and those passing by. We only use material of the highest quality for filling in our pools. Our material is purchased from our suppliers and is specially tailored to suit your pool fill-in needs. The material is guaranteed to be contaminant free. We compact the material in such a way that it will never sink. This allows us to offer a ten year warranty against any sinkage or settling. Topsoil is then added and compacted thoroughly. After the topsoil is added and compacted, we professionally grade all backyards to ensure proper drainage away from the house. 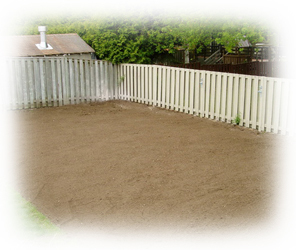 We spend time on every backyard that we grade to ensure that it is smooth and without bumps. We only use certified #1 Kentucky Bluegrass sod. Each roll of sod measures 2 feet x 5 feet, covering a 10 square foot area. We then lay the sod and roll it.All that’s left is to water it! 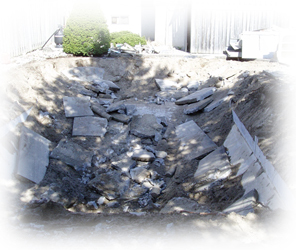 WE DO NOT USE FREE EXCAVATED MATERIAL (CLEAN FILL)! contamination and unwanted debris. 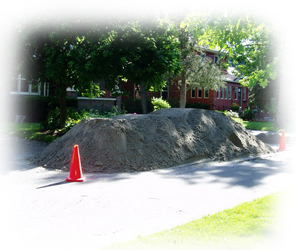 The owner can be liable in the future if they have contaminated soil in their backyard so it is very important to have material purchased from licensed gravel pits.